Amazon is getting a lot of good press today for a smart marketing move it pulled: offering a “thank you” discount code to its customers based on some stupid corporate reputation poll. But, here’s something to consider: Amazon treats its massive army of laborers like garbage. If you ask the average person what they think of Amazon, the response will most likely be positive. After all, it is a convenient service to quickly purchase whatever your heart desires. But few will consider the human cost associated with fast shipping times and low, low prices. I’ve been with Amazon for a little over a year and you can count my experience in the Ugly category. This soulless machine looks down on employee work-life balance as “weak” and “uncommitted to the customer.” I’ve got to hand it to them though. Amazon does put the customer first. Many other huge corporations make the same claim, but this company backs it up. The problem is that it comes at the expense of the employees, their health and their families. I’ve heard that the average employment of an Amazon corporate staffer is less than a year and a half. I am not sure if that is true, but it would not surprise me at all. This company counts every single penny (to offer the best price and selection for the customer, which is admirable), but when it is all added up, running a business this way just has to be more expensive than an environment where “lifers” exist with the mental and physical fortitude to keep everyone around them motivated and serve as an aspiration. Not so here. Everyone is so tired, all the time. Dark eye circles, muttering under yawns, all. There could never be “lifers” here. Not at this pace anyway. When there are so few long-lasting employees around, it kind of goes unsaid that other smart people like you can find a better situation elsewhere and move on. You cannot help but start looking within a few months. So the proof is in the other people you see in the hallways every day. It is always “Meet Bob, he’s the new Jim” and I had no idea Jim was gone. You are told all the time of really great people who leave without so much as a goodbye email. To me that’s crazy and a big problem. I’ve had worse jobs in my life (we all have), but I’ve never hated a job or a supervisor more. Does that make sense? I dread like a root canal appointment every Sunday night, knowing Monday morning is on its way. When I walk through the doors my head is ringing with regret, mind-numbing repetition, and expectations of browbeating. My expectations have never once gone ungratified. I am doing all I can to leave as soon as possible, despite my team mates who are great and intelligent but who are just as miserable. Sad. Such a waste. As incredible as this company is, it’s hard to imagine how much more powerful it could be if anyone here, more than the odd few, were happy. It is difficult to get a job at Amazon. Really hard. (Those descriptions of the interview day you read in the other posts are right. It is a gauntlet.) But it is much harder to want to stay. I sensed it when I came on, and I’ve learned since then that my hunch was right. Isn’t the job of management to motivate people from every background to believe in one objective and then reward them for driving at it? It is not the job of management here, I can assure you. Their job is to demean and threaten. And that comes from the top. So I’ll be moving on as soon as I can with fond memories of those rare nights getting home before 8:00 pm. And learning from really smart, burned-out people for about 14 months. Man, there are smart people here. But they are also smart enough to know that they have been had. That is the thing with smart people, they have high expectations of their work place. 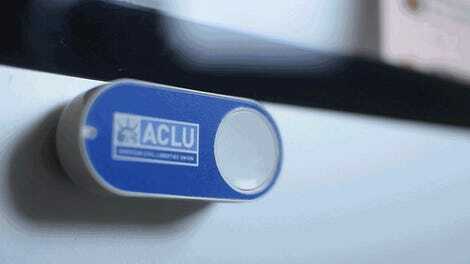 Amazon, if you want to run a corporation this way, that is great and your prerogative of course. You make millions of dollars every minute and millions of customers happy with excellent service and low prices. You do all that for myself and my friends and family as customers (though I don’t think I can remain a customer for long, knowing the ways by which it is all achieved). There are no laws against asking your employees to work really hard. That is America. But you should be honest in the interview process and let people know the amount of time they will be required to put in just to keep their heads above water. You will pay a steep price someday if you do not. That is a price that will be passed on to the customer I’m sure. I hope you are be honest with yourselves when that day comes. 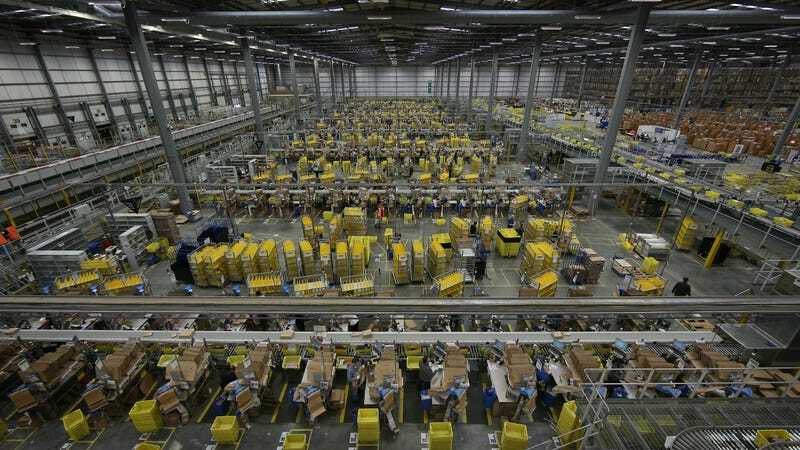 Mike Roth, vice president of North American operations for Amazon, said the company ensures employees are working at a safe pace. “We do have goals for employees in regards to performance metrics,” he says. “We have a team that regularly looks at the metrics to ensure they are safe, fair and attainable.” Like many warehouse staffing companies, Integrity doesn’t require workers to take a physical to work in an Amazon facility. 3 However, the company said it provides prospective employees with extensive information, including a video, so they understand the physically taxing nature of the work. “IT’S GOING TO BE HARD,” one brochure warns. “You will be on your FEET the entire shift and walking upwards of 12 MILES per shift. (yeah, that’s really far!) ... YOU WILL HAVE TO: LIFT, BEND, SQUAT, REACH & MOVE (there are no sit-down positions.) DON’T BE AFRAID; YOU CAN DO IT.” Applicants are also quizzed on their ability to perform basic requirements. If an employee has a medical condition, Integrity says it will allow for more frequent breaks or lifting restrictions.